West London Property in Q2 2018 take-up in the Borough of Hammersmith & Fulham (LBH&F) was 241,000 sq ft. This is mainly due to the French multi-national advertising company, Publicis, signing for 215,000 sq ft at Television Centre 2, White City at an average rent of £50 per sq ft. Frost Meadowcroft client, Arts Alliance, the cinema technology company, also moved north from Hammersmith to White City, taking 7,000 sq ft at Westworks. This take-up figure of 396,000 sq ft for the first 2 quarters is just a shade behind the entire take-up in 2017 which was 409,000 sq ft. The centre of Hammersmith has been relatively quiet for larger lettings compared to the supply available. The technology company, Zaizi, took the 4,300 sq ft 4th floor of Kings House, the new 2017 constructed office building at 174 Hammersmith Road owned by Frost Meadowcroft clients, Kier and Investec. Advanced Technology Partners took the 3,225 sq ft 6th floor at Space One and Nevs Models Agency relocated from Kings Road Chelsea and leased 3,200 sq ft at Broadway Studios for £39.50 per sq ft. In Notting Hill technology company, What3Words, signed for a 10,000 sq ft studio at the new 4th floor at Great Western Studios, W2. What3Words is a mapping system that has divided the world into a grid of 3m x 3m squares. Each square has been assigned a unique 3-word address allowing anyone to accurately find any location and share it more quickly, easily and with less ambiguity than with other systems. In LBH&F the Publicis Group letting has reduced office supply from its high Q1 level of 9.9% to 7.5%. This is still much higher than the low supply of 1.5% in Q1 2015 but the Publicis letting is likely to boost the perception of White City and west London as an important office market. Office supply is higher than in neighbouring RBK&C where it has reduced to 2.1% but below that of Paddington which is at 8.5%. This is due to the construction of the 240,000 sq ft Brunel Building and 159,000 sq ft at 5 Merchant Square in Paddington Basin marketed by M&S. Chiswick supply has reduced to 11.3% from 13% but with space available at the huge Building 7 at Chiswick Park remains at a high level of net supply. Driving a petrol sports or luxury car to work in London looks set to become a thing of the past for anyone not willing to pay £12.50 per day for the privilege. This quarter the mayor, Sadiq Khan has unveiled details of his plan to introduce an “ultra-low emission zone” (ULEZ) covering all of London in the next few years. The scheme, which will see the most polluting vehicles charged for entering the centre of the capital’s congestion charge area from April 2019, will be extended to the North Circular and South Circular roads in 2021. Once the zone is extended to the North Circular and South Circular, it will cover a huge area of London, and officials estimate 100,000 cars, 35,000 vans and 3,000 lorries will be affected per day. It will also include a “particulate matter standard” as every part of London exceeds World Health Organization air quality guidelines for PM 2.5, the most dangerous particulate. The charge in the central London zone and extended area will operate all day, every day. Drivers within the expanded zone using “non-compliant” vehicles will pay a daily charge of £12.50. Khan will also tighten standards for the most polluting heavy vehicles, including buses, coaches and lorries, which will face a daily charge of between £100 – £300, across the whole of London from October 2020. 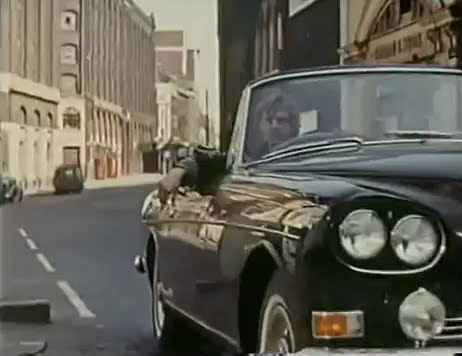 The RAC estimated that there were about 1.2m non-compliant cars and vans registered in London with many likely to be owned by the most deprived households. Frost Meadowcroft research has shown that take up of supply in the Chiswick office market over the last two years has been dominated by the media sector, accounting for over 50% of the floor area and also the number of transactions. There were 9 lettings to media companies over the two years such as China Global Television Network and Volant Media (TV production start-up). 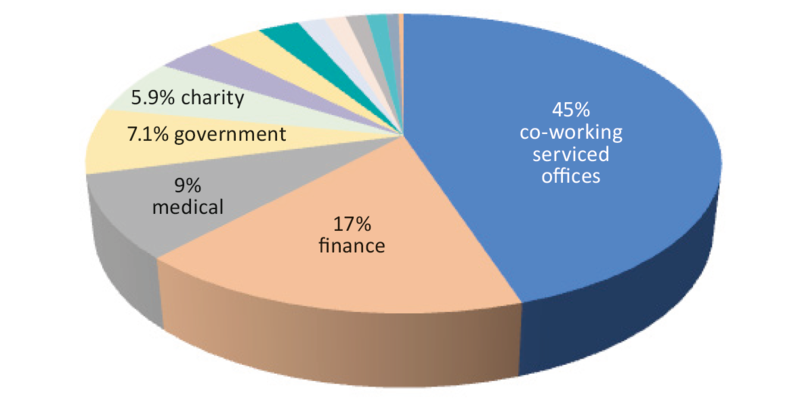 In RBKC our research over the last year shows that the amount of supply taken up has been dominated by the co-working/serviced office sector (45%). This is mainly due to The Office Group’s leasing of the 41,000 sq ft upper section of 90-94 Notting Hill Gate from Frost Meadowcroft client Frogmore. 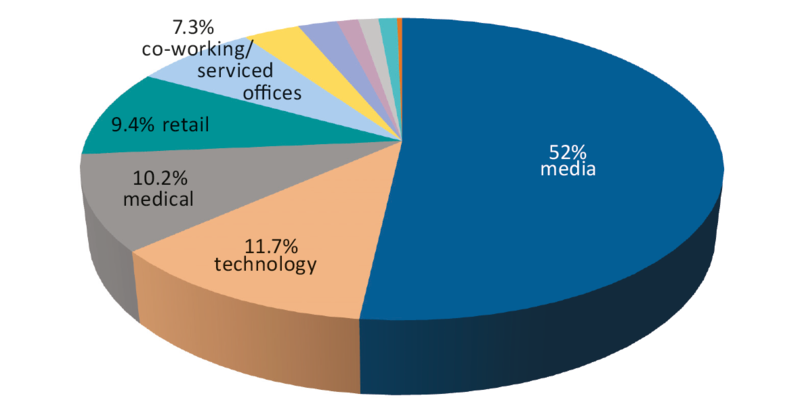 Finance is the next largest sector with 17% of the take-up and also with the most number of transactions. There were 12 lettings to the financial sector in the last year, mostly in the east of the Borough near Sloane Square and Knightsbridge. Another predominant sector were medical companies with 9% take-up. Notably there have been no substantial lettings to the fashion sector in the last year which is usually a large percentage of take-up in this part of London. It would appear that they are experiencing the same economic pressures as the retail sector resulting in less occupier movement. Coupled with the lack of supply of offices in Kensington and Chelsea, companies such as The White Company and Yoox Net a Porter have chosen neighbouring White City and Victoria Beckham has moved to 202 Hammersmith Road in Hammersmith.